In the 1960s, the Borough Council planned for an expansion of Ipswich to three times its size. This never happened, but there was a considerable and largely unnecessary rebuilding of the town centre to give it a metropolitan character, many of the buildings designed to line an aborted urban motorway. Not many of these new buildings were good. Perhaps the most notorious was the Greyfriars complex by Vine & Vine (1964-66, largely demolished apart from the towers in the early 1990s). 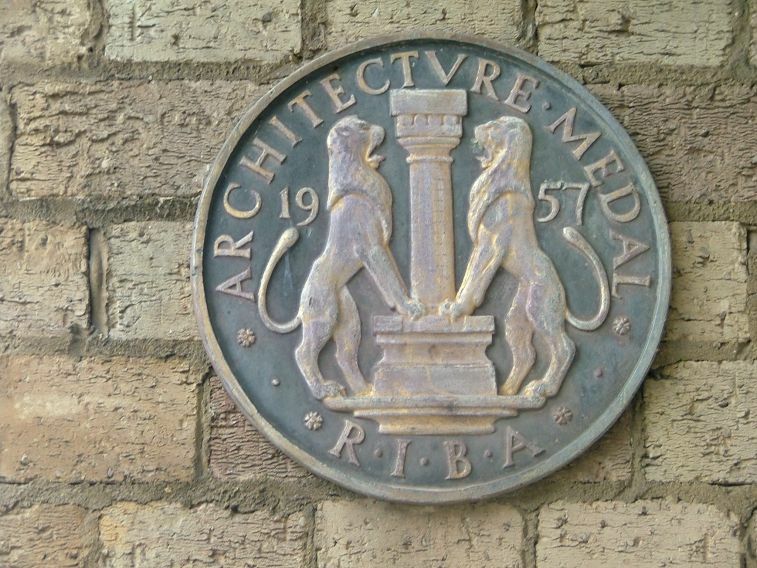 However, local architectural practice Johns, Slater Haward were responsible for some excellent structures that survive today to adorn the Borough. At a time when brutalism and modernism were fashionable, the practice designed buildings of real character, with a jauntiness that looked back to the Festival of Britain, and forward towards the post-modernism of Norman Foster and Richard Rogers. One of their first designs was for Castle Hill Congregational church. 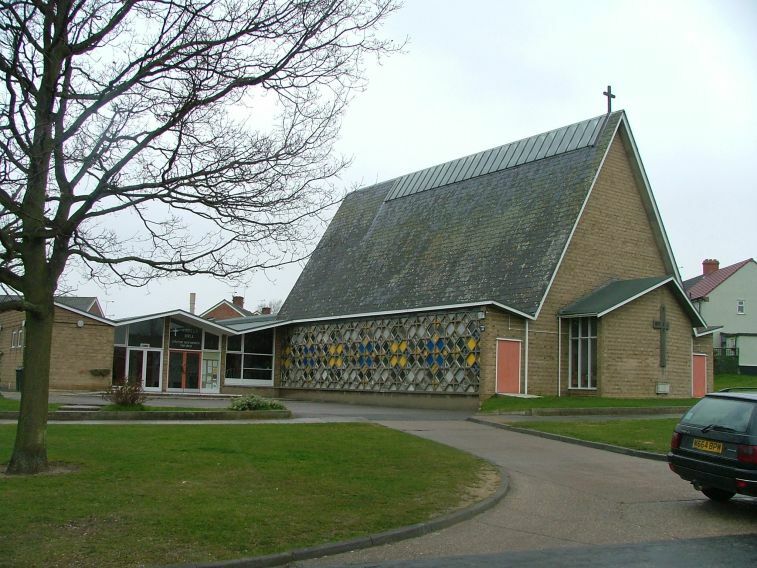 This was built on a new estate about two miles north of the town centre, and completed in 1956. It immediately won a Civic Trust award and a RIBA Architecture Medal.. The congregation were transplanted here from Crown Street Congregational church which was then demolished. Perhaps because of this, the church today retains a sense of serving the whole Borough and not just its new estate. The lively angles of the roofline are reminiscent of the practice's Sprites Schools of three years later. 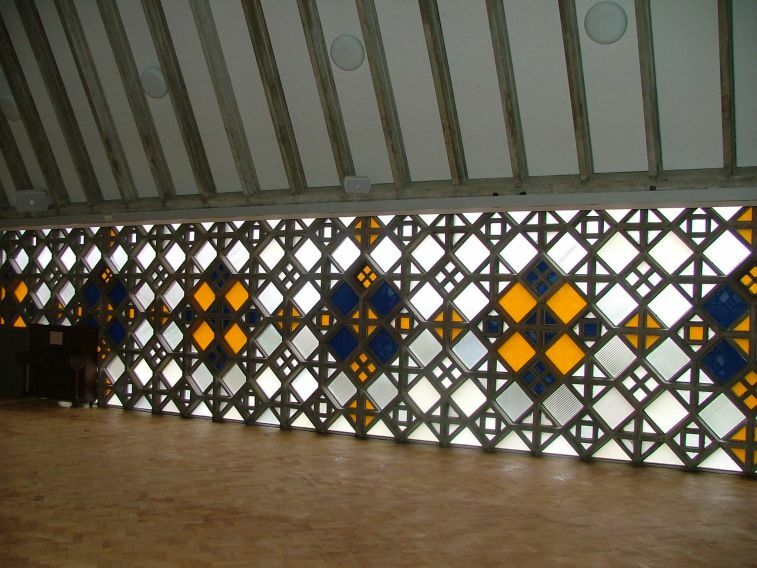 Most striking of all are the flanking walls of coloured glass, which have an optimistic flair, but are also actually rather elegant, especially when viewed from within. Above are the magnificent concrete beams of the pitched roof, a reminder that the practice's architect Birkin Haward was an expert on medieval Suffolk church roofs. 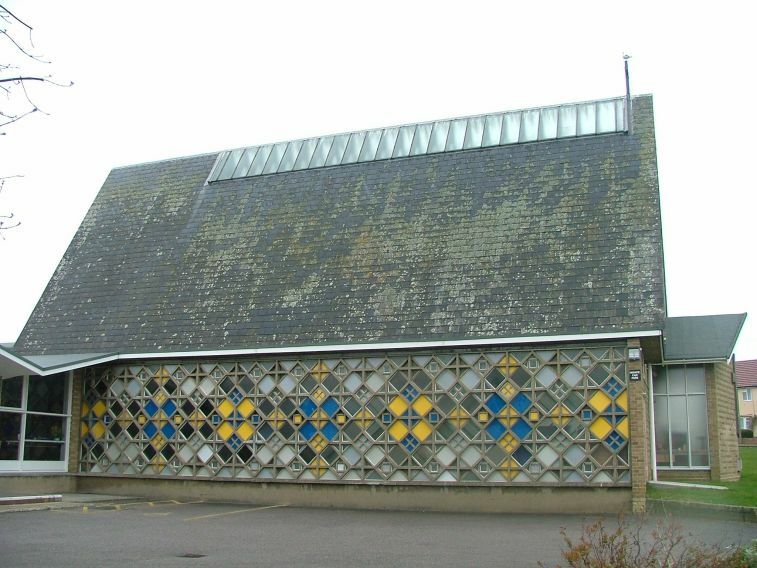 There is a similarity, at least externally, to St Andrew's Methodist church at Sheringham in Norfolk. Within, the east wall contains a little sanctuary lit from either side, a rather sombre red cross behind. 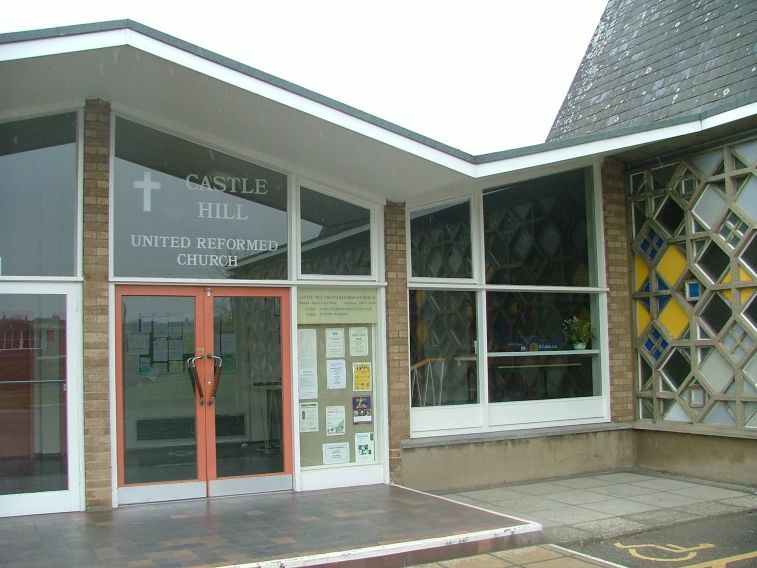 In the 1970s, Castle Hill Congregational church became a part of the United Reformed Church. 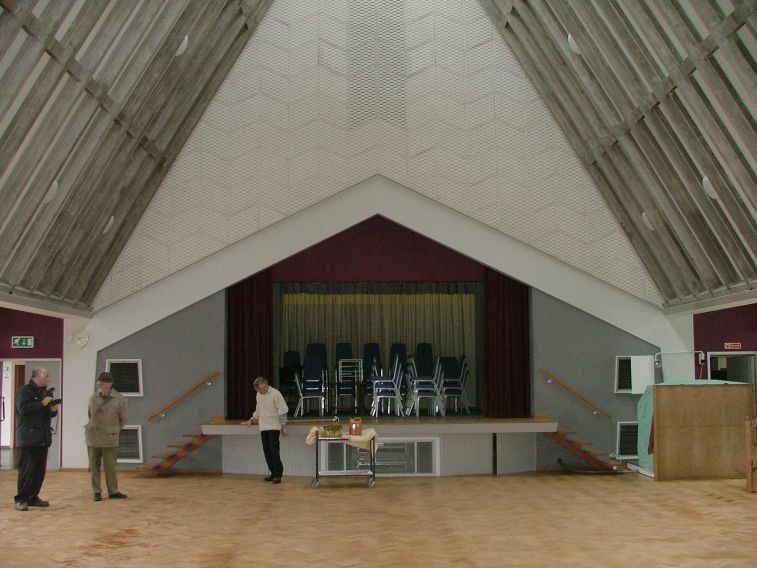 There is a large extension at the back used for activities during the week, but the fine organ and open floor of the main church mean that it is also used regularly for recitals, rehearsals and, rather surreally, ballroom dancing, which I would sneakily love to see.